News has broken overnight that one of the best known, respected (and loved) diving doctors in the Northern Hemisphere, is to be inducted into the International Scuba Diving Hall of Fame. It would be fair to say that European divers consider the Egyptian Red Sea Riviera as their ‘Caribbean’ – a sunny destination with top class diving. At the turn of this century the Red Sea resort in Sharm was one of the busiest dive locations in the world. As a result Dr Taher’s catchment area encompassed some 150+ dive centres, with the big dive centres each employing on average 40 dive pros. It meant that his morning surgery was always bustling with instructors escorting just-arrived students needing a diving medical before a course could commence. This Egyptian doctor and PADI Open Water Instructor didn’t only look after the health of visiting divers. His patients also included dive professionals and their families, and the local indigenous population who would benefit from hyperbaric medicine, ie carbon monoxide poisoning. No one has ever been turned away from the Sharm Chamber. Mark Caney from PADI EMEA stated "Adel is a key figure in the story of Red Sea diving; his contribution to diver safety in the region has been immense and he has been pivotal in providing the safety support the region needed to allow the thriving Egyptian diving scene we see today." The original Sharm ‘container’ chamber construction and installation was funded by USAID. It was built in the USA to Dr Adel’s specifications. He was instrumental in implementing and designing this chamber, and you can clearly see his clever ideas when you look at it more closely. For instance it is actually housed in the three containers it was shipped in. (They are bolted together). The Hyperbaric Medical Center, Sharm el-Sheikh opened for business on 10 March 1993. The USA manufacturer was intrigued and questioned the size of the ‘Medi Lock’. A Medical Lock is a small airlock located on the outside of the chamber. It is used to transfer physical items, ie medicine, food and beverages into a working chamber. When the Americans queried Adel’s specification he stated the Medi Lock needed to be that size to because it would safely house a 1 litre bottle of water. (I believe that at the time the Chamber was built, you could only buy water in 1 litre bottles in Sharm). Dr Adel also chose a special white paint for the chamber interior – so that the chamber visually appears to be bigger than it is. And when you touch the ceiling lights inside the chamber, you will find that they are cold, thus ensuring that no patient or tender gets accidentally burned. I, along with other professional dive guides in resort, soon found out that you must look after your body, when you are living and diving day in, day out in a hot climate. We discovered that a slight flesh wound that would quickly heal back home, would linger for weeks, and could become quite nasty very quickly. Paul Duxfield aka 'Duxy' learned this the hard way. Duxy worked in Sharm El Sheikh in the late 90's / early 2000's as a dive guide and videographer. Today he has made his mark in the underwater photography world and his popular columns in DIVE, Sport Diver and Scuba Diver magazines are respected. He is known for helping divers who are starting to get to grips with underwater photography, and for his 2.5 minute safety stop hand signal. Whilst Duxy was working in Egypt, he caught his finger on a stray piece of cotton on a wetsuit, and sustained a tiny cut to his finger. He ignored it and continued to dive every day. (When you work as a professional dive guide, if you don't dive, you don't earn, and you don't eat. Typical diving pay at the time in Sharm was US$25 per day). "I first met Adel whilst I was working as a dive guide in Sharm in the late 90’s and he essentially acted as our local GP, so as well as being the premier ‘go-to’ guy for dive medicine. He performed the simpler stuff like ear syringing and gave us stern talking to’s about our dive guide lifestyle and the importance of looking after ourselves better than we did. All this delivered with a twinkle in his eye, and with a healthy dollop of good humour. When I was losing my finger he was my first port of call, and he had to give me the great news, that I would need to have my initial operation in his clinic, there and then, without an anaesthetic. But because of my trust in his all round skills, I willingly accepted and that whilst it would ‘hurt’ a bit, it’d be worth it. Well I didn’t get to keep my finger, but he managed to stop the infection with his timely intervention and I didn’t lose my hand." Duxy ended up having a significant part of his finger amputated, hence his three minute safety stop signal looks as though its only 2.5 minutes. 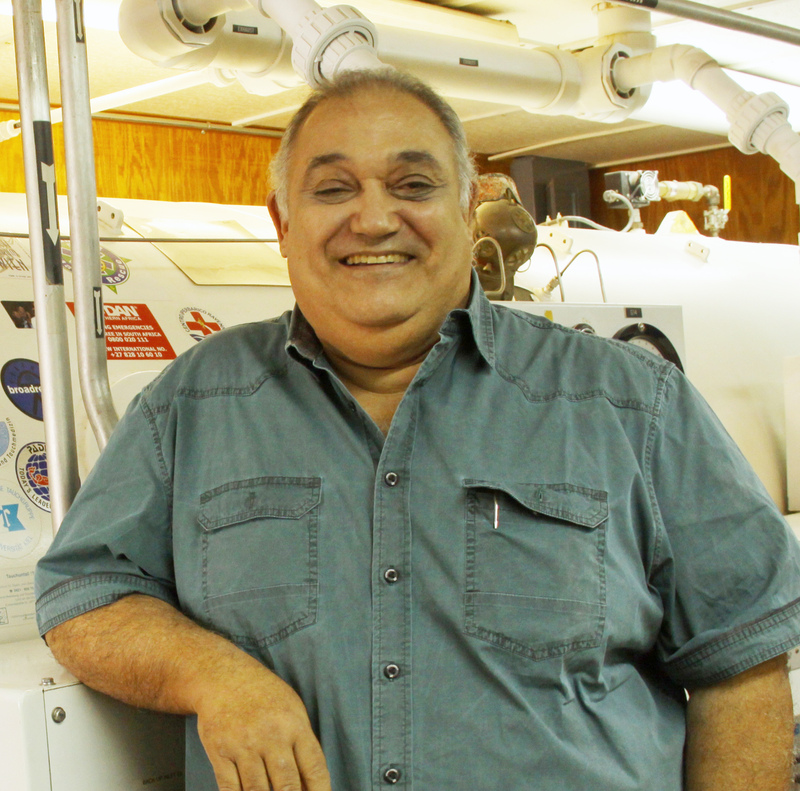 The Hyperbaric Medical Center is not only a GP surgery and hyperbaric medicine chamber, it is also a place of learning thanks to Dr Adel. There is anecdotal evidence that if a diver has done a 'dry dive' or been on a chamber tour and had an explanation of how a dive chamber works, they respond better to hyperbaric treatment. This is because they have an understanding of how their decompression sickness will be dealt with, therefore they are more relaxed about the process. Proactive instructors appreciate having access to a chamber to help educate their students, and Dr Adel has encouraged the resort instructors with an interest in diving medicine to bring their Rescue Diver or Divemaster candidates to the chamber. He also champions keen members of Sharm's diving community to train as a chamber tender or operator. Over 1,700 people of different nationalities have walked out of the Hyperbaric Medical Center after they were medevaced to the chamber with potentially life threatening injuries. This makes the Sharm chamber unique. It is a great place for young medics looking to get into dive medicine to study because almost every patient that is treated is suffering from a diving related illness. This is not the case with the majority of hyperbaric chambers. Divers will typically make up 5% of the patients. The other 95% of patients receive HBO therapies to help profuse tissues with oxygen to aid the healing process or to treat gangrene and carbon monoxide poisoning. Dr Adel therefore mentors and provides internships to medical students from around the world. 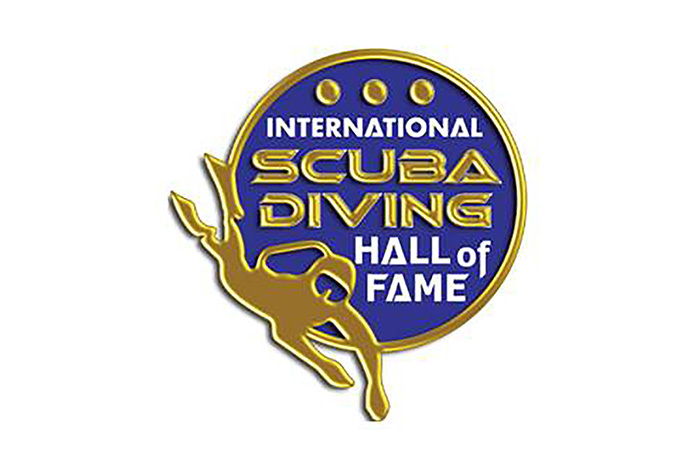 The International Scuba Diving Hall of Fame was founded in 2000 to honour people who have helped to make scuba diving possible, safer, more popular and more enjoyable. 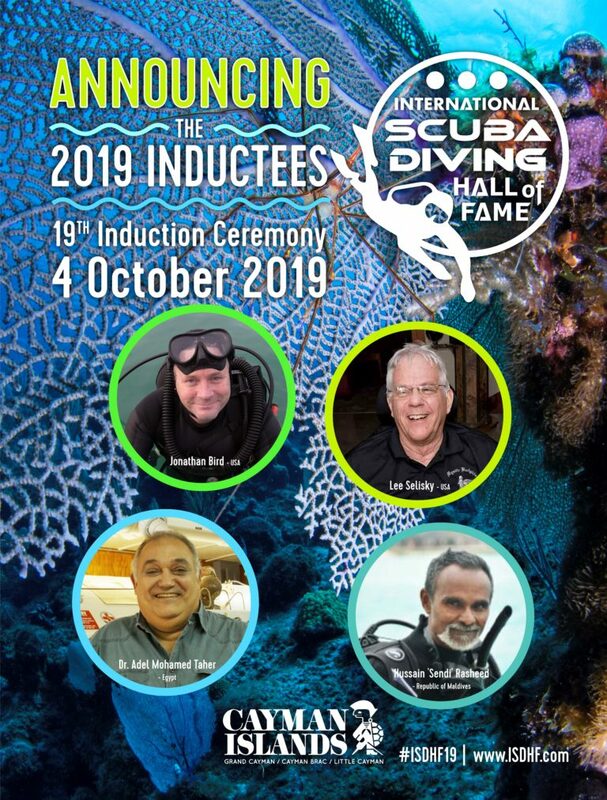 Dr Adel Taher will be inducted with three other dive industry pioneers on 4 October 2019 in Grand Cayman. They are Johnathan Bird, (the late) Lee Selisky and Hussain ‘Sendi’ Rasheed. Bird is an Emmy Award-winning underwater cinematographer and producer, best known for creating the educational family-friendly underwater science / adventure series 'Jonathan Bird’s Blue World'. It was first televised in 2008 on PBS (Public Broadcasting Service) in the USA. This has now transitioned to YouTube, and the series has become the most widely-watched scuba-themed program in the world with more than 109 million views, and 320,000 subscribers. 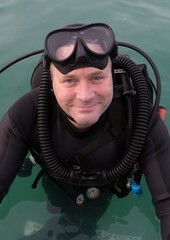 Jonathan Bird has also created and produced over 30 films for broadcast and education, promoting ocean conservation efforts and made ocean research accessible. 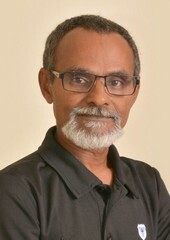 Rasheed is known as "the Godfather of the Maldivian diving industry”. He was the first PADI Instructor Trainer in the Republic of Maldives and has since become a key figure in the region’s developing regulations surrounding marine health and diving tourism. Along with his extensive lobbying of all marine protected species and dive sites in the Maldives, Sendi received international media attention for organising an underwater Cabinet Meeting, chaired by the President of the Republic of Maldives, to bring attention to the threat of global warming. Sendi’s 37-year career shows his deep love of the ocean that he actively works to protect, as well as the impact of his educational efforts that has produced a continuing stream of savvy Maldivian Ocean Ambassadors. In recognition of his ongoing dedication and many efforts on behalf of diving and the marine environment, Sendi has also received both the Maldive Tourism Award and the Presidential Award. Selisky began scuba diving in 1967. He spotted a gap in the scuba diving market and began manufacturing six-pound lead weight moulds in his garage. This business later evolved into 'Sea Pearls'. It was either the first, or one of the first companies to introduce die-cast and vinyl coated weights. (In the UK Norman Smith of Namron began manufacturing 2kg and curved 4kg uncoated lead weights and moulds in 1974). Selisky was successful with his business and he therefore gave back to the diving community by serving on many nonprofit boards, including being President of Diving Equipment and Marketing Association (DEMA), Founding Director of the ISDHF, multi-term Chairman of the Historical Diving Society (HDS), Director of the Original Ocean Futures Society, Director of the Hans Hass Award and Chairman of Divers Alert Network (DAN). Using his personal philanthropy to “lead by example,” Selisky donated considerable amounts of money to these organisations as well as regional dive show fundraisers, marine environmental programs, and marine medical programs. 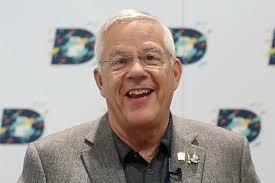 In 2017, he also established the Lee Selisky Future Leaders in the Diving Industry Mentorship Program, for which Selisky legacy of service continues to inspire and support the recreational diving industry around the world. Lee Selisky passed away in July 2018 following an eighteen month dignified battle with ALS.